Interested in packing light? Be sure to check out part 2 here for tips on deciding what baby gear to bring! Before having my baby, I had perfected the art of traveling carry-on only. There are so many great benefits to it, and I look back on my days of struggling with oversized (and overweight!) luggage and cringe. 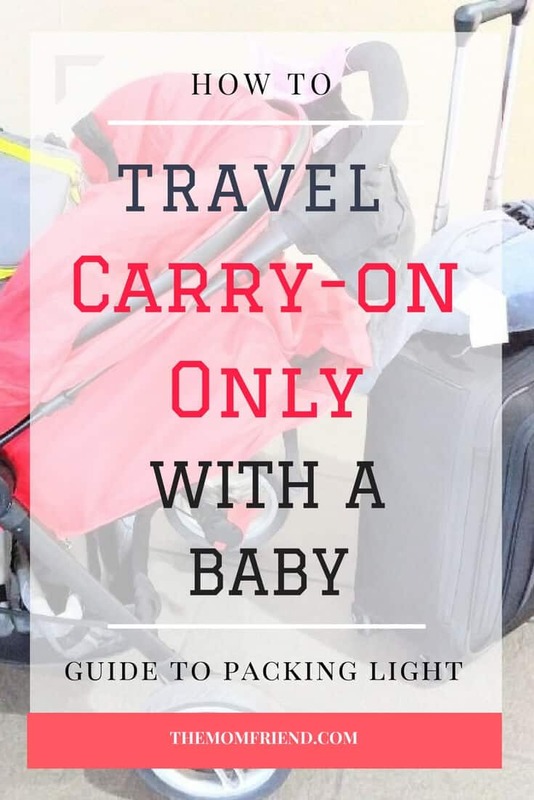 I can easily travel internationally for 2 weeks with just a carry-on and I knew this was something I wanted to try my best to continue doing once I added a baby to the mix. And I am happy to report that I can (and do!) travel carry-on only with a baby. I am always being asked how I do it, and often hear from other mamas that they just don’t see how it is possible. 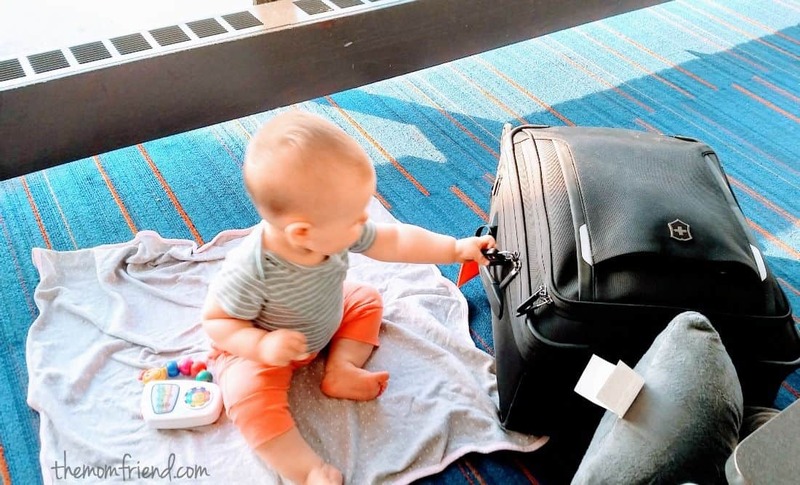 Traveling carry-on only with a baby takes some creatively and decision making, but it is definitely possible! Even if you decide to check your luggage, reducing the amount of stuff you bring will help make travel easier and much less stressful than having an overwhelming amount of stuff. So much stuff- where to even start? We will focus on the first thing, clothing and accessories in this post. I originally had all of the items on one post, but it a huge doozy of a post. So let’s break it down into a few different ones to make it easier to navigate. 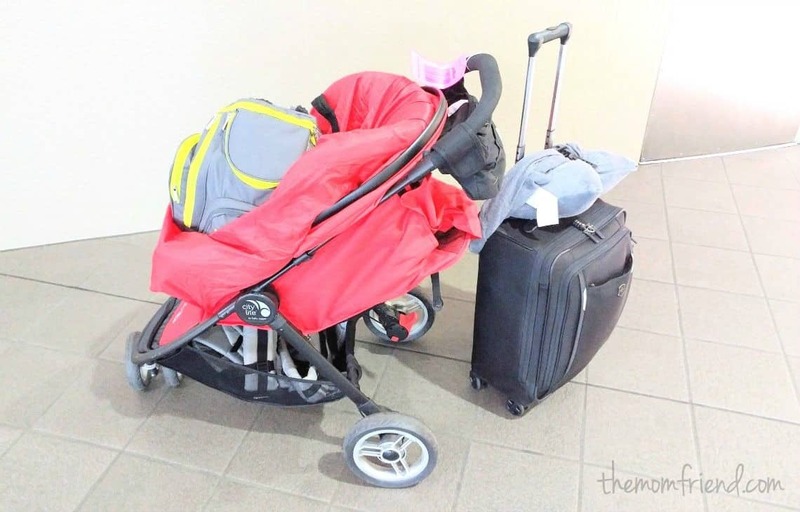 The majority of the mamas I talk to think it is impossible to travel carry-on only with a baby due to the large amount of baby gear and “stuff” that is needed for life with a little. But here’s a hint- most of the big stuff (like strollers and car seats) flies for free! The stuff part is manageable and can be taught (hint: it’s all about finding out what works best for YOU and your situation). Where most people seem to have trouble is actually figuring out how to pack carry-on to begin with. That means clothing and the normal stuff you would travel with. Packing light is a mindset- it is about putting thought into each piece of clothing and other additional items and ensuring that they add value, often in more ways than one. One of the best ways to do this is through a Capsule Wardrobe. Capsule wardrobes have become something of a trend lately, and for good reason. The basic idea is that you pick a limited number of items that can all (or mostly) be mixed and matched to create different outfits. I use this concept to an extent in my everyday life but live and breathe it for travel- whether for personal travel or when I used to travel for business (back in the day when I was a corporate suit wearer). Being mindful about what clothing and outfits I bring has helped me both avoid checked baggage fees and feel less stressed at my destination. No more rummaging through a full suitcase of individual pieces- everything has a purpose and coordinates well with other pieces. The basic idea of a capsule wardrobe is the same for a baby. Pick individual pieces that can be mixed and matched as needed, and add in a few extra fun items. *Sidenote* Because baby clothes are just so cute and I usually want my family to see her in lots of different items (plus knowing how messy she gets), I do still pack plenty of extra items for my daughter. It can be easy to go overboard though since the clothes are so small, so be prepared to show some restraint ;). Give yourself a limit for the baby’s capsule wardrobe and allow yourself a few extra items for those “must have” pieces. A good rule of thumb is 1-2 basic outfits per day plus a few extra outfits for those necessary messy days, and 2-3 sets of pjs. 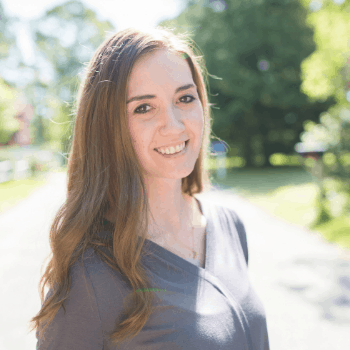 To figure out a great capsule travel wardrobe for yourself, I highly recommend heading over to learn from Alex at Travel Fashion Girl. She was a major reason I have been able to travel carry-on only for years, and do so without sacrificing style. I’ve even written a few articles over there as well to give you ideas! For a baby list, Jessica over at Hej Doll has some great tips on How to Pack Light for a Baby as well as a sample capsule wardrobe and extra items to bring. Three Little Crowns breaks down the idea of a capsule wardrobe for kids, and those tips can be adapted for travel. I would recommend adding in a few pieces to the basic capsule if unable to do laundry to make it through the trip! Use Packing Cubes- they are a life (and sanity) saver! I swear by packing cubes to make packing easier and much more organized. The great thing about using cubes is that I am able to separate my stuff from hers and organize based on need. To keep the baby “stuff” organized, I typically will use one cube to hold clothing and one to hold pajamas, bibs, accessories, and other miscellaneous stuff. <—– This makes it so much easier at my destination to know where small things are and stay relatively organized during the trip. Having a set number of cubes also means if it doesn’t fit, I probably shouldn’t bring it- which helps in cutting down items! I own many different sizes of packing cubes and usually use a combination of slim cubes (my favorite are the ones by ebags), plus small and medium for my travels. For a good starter set that gives you the flexibility to try out different combinations, I recommend a set such as this. A carry-on bag can fill up quickly once all the “extras” start climbing in (blankets, bibs, toys, swaddles/sleepsacks, swim gear, etc). When preparing for a trip, I like to keep an open suitcase on the floor, and toss in any items I think I might* want to take with me. Any items that should be brought but that I can’t live without in the meantime gets noted on a list on my phone (love Evernote for things like this). Once I get closer to actually packing, seeing everything at once helps me weed out anything that is unnecessary, that I have multiples of, or that can be replaced with an item that pulls double duty. Keep in mind that traveling carry-on only with a baby isn’t about struggling with lots of stuff to avoid fees. It IS about traveling more relaxed, with less stuff, and the ability to stay more organized during your journey and at your destination. After all, the memories are what we want to collect and carry, not that 4th pair of shoes. ? Want to learn more tips and see how I reduce the amount of “stuff” when I travel with my daughter? Join my list below or save The Mom Friend to your favorite blog reader to be the first to know when the next part is posted! There is so much more to tell! Do you have any carry-on only advice to offer? Let me know in the comments below! Loved this! I will be traveling from the PNW to the Midwest next month with a five year old and an 8 month old and I tend to need to pack every. single. thing. Thanks for sharing!